Former Presidential aide, Reno Omokri has weighed in on President Muhammadu’s recent rejection of the Peace Corps bill. President Buhari on Tuesday rejected the Peace Corps bill citing security challenges and lack of funds. 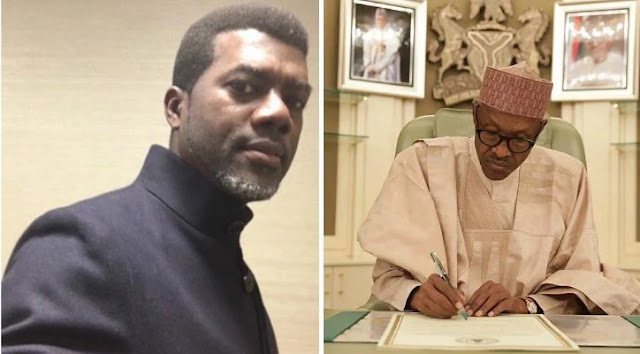 Reacting to the development, Omokri, took to his Twitter page to question the president’s reason of mentioning funds as a hindrance to the passage of the bill. The same President Buhari that wants Nigeria to use public funds to build cattle colonies for his Fulani kinsmen is the same President Buhari who rejected the Peace Corp Bill because he says there’s no money. There‘s money for cattle colony, but no money for peace. Well done sir!.